Climate change is scary. ‘Rat explosion’ is way scarier. 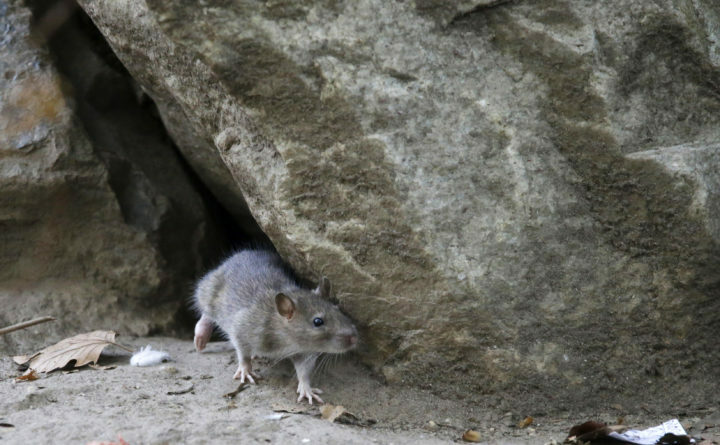 A rat leaves its burrow at a park in New York City, Sept. 17, 2015. Rats aren't just a nuisance in cities. Rural residents across Maine are reporting an increase in the rodents, mirroring a trend nationwide. Rats are just the beginning. Biologists have calculated that with the expected warming this century of 2 degrees Celsius, populations of dangerous crop-eating insects are likely to explode as temperate areas warm, reducing crop yields by 25 percent to 50 percent. Similar horrors lurk offshore, where biologists have found that a population explosion of purple sea urchins — “cockroaches of the ocean” — is choking out other denizens of Pacific kelp forests. There’s something deeply troubling about a single species taking over what was a diverse ecosystem. Flam is a Bloomberg Opinion columnist. She has written for the Economist, the New York Times, the Washington Post, Psychology Today, Science and other publications. She has a degree in geophysics from the California Institute of Technology.